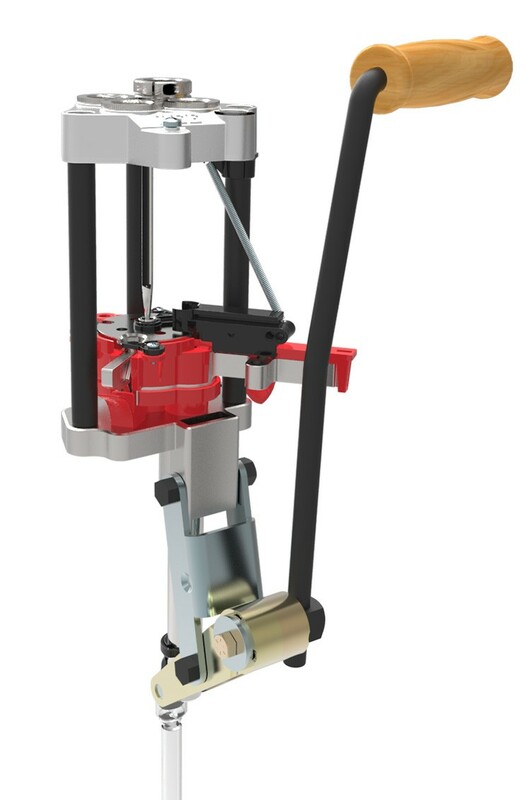 Announcing a new concept in automatic reloading presses. A true progressive press for less than the cost of a premium single stage press. Order a set of Lee dies and a shell plate, and you have everything you need to start reloading. Easy to use with no adjustments. View quick start guide and product instructions. Modular construction allows as much or as little automation as the operator desires with no adjustments. Cartridge changeover in seconds, including primer size with no adjustments. Breech Lock quick change feature in all four positions with no adjustments. Exclusive auto case placer with no adjustments. Through ram primer disposal with convenient built-in primer disposal tube. Includes four breech lock bushings. Includes large and small priming arms. Includes ergonomic, wood grip roller handle. Others charge nearly $50.00 for this comfort feature. Includes hex wrenches for caliber changes with built in storage rack for tools. Others charge nearly $30.00 for the tools and storage rack alone! User has to make initial die adjustment into the Breech Lock bushings. Once set, the Breech Lock system allows for instant change. Shell plate is required to use this press, sold separately.